This is a rectangular Ruberoid Roofing porcelain sign. This particular Ruberoid Roofing sign is predominantly white and green with red text. 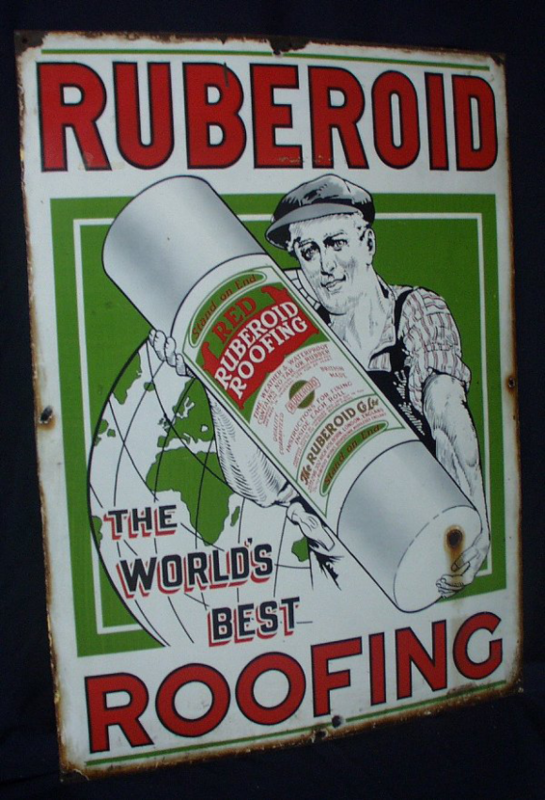 It reads, “Ruberoid, The World’s Best Roofing” and features a roofer holding a package of Ruberoid Roofing in front of a globe.